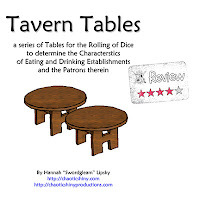 This morning I decided to go through the pile of free items I downloaded off of DriveThruRPG and I found a decent series of Tavern Tables. 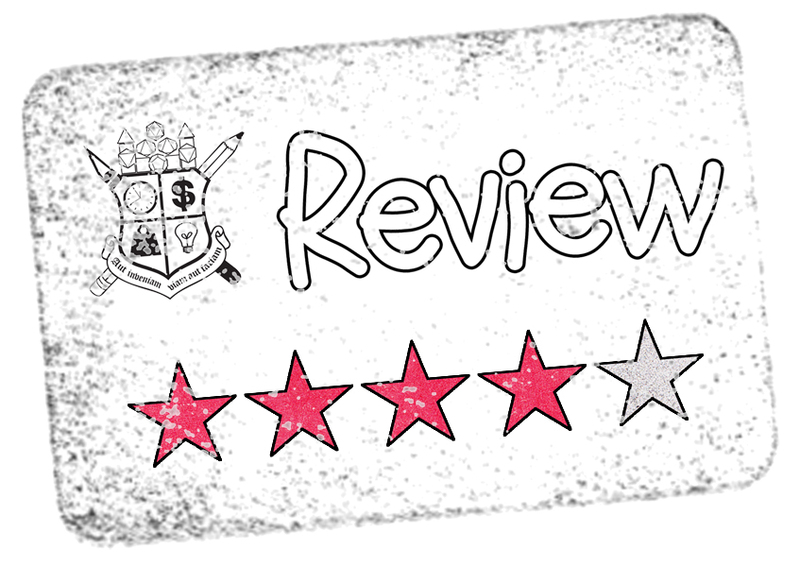 If you are creating a tavern in a hurry, this eight-page PDF isn't going to fill all your needs, but if you already have something in the works, then it will do a great job in augmenting your work. The tables start off with a simple tavern name generation of 2x100, meaning there are two tables of 100 items. Personally I'd prefer a 3x table because I like longer names and having the name generator three-deep will give more randomness. With a 2x100 table you have 10,000 combinations (100*100), but for the same number of entries, say 3x33 (I know, actually one less entry) you have 35,937 combinations. It is just the name of a tavern though....not a big deal in the scheme of things. I already have a random table generator and I could see simply adding some of these entries to my current tables. "The muscular, dark-haired dockworker with the grey eyes has been buying drinks for women and striking out all night. He's now drunk after his many attempts. He wears a ring with the crest of the local thieves' guild, and might know something about their latest heist. He has the strange long daggers favored by local brigands. There is a tattoo of a raven across his throat, and other tattoos peeks out from the sleeves of his shirt." The next three tables are short, but brilliant...in my opinion. They detail the chaos of a bar brawl. The first table shows the active participants in any given round, the next details what actions a brawler may be taking, and the third how drunk they are and how that effects their action. Assuming that a real bar brawl is a free-for-all melee where combatants change out quickly, this is a great set of tables, and there really isn't that much to them. Simpler does seem better in this case. Tavern Tables is a pretty good series of random tables that could use some tweaking, but are definitely worth downloading. I think with a little work it would be something I'd definitely be willing to pay for.